MiracleTM DNA dendrimer is our new service provided for customers. The DNA dendrimers (called as dendritic nucleic acid initially), are complex structures formed by partially complement DNAs. 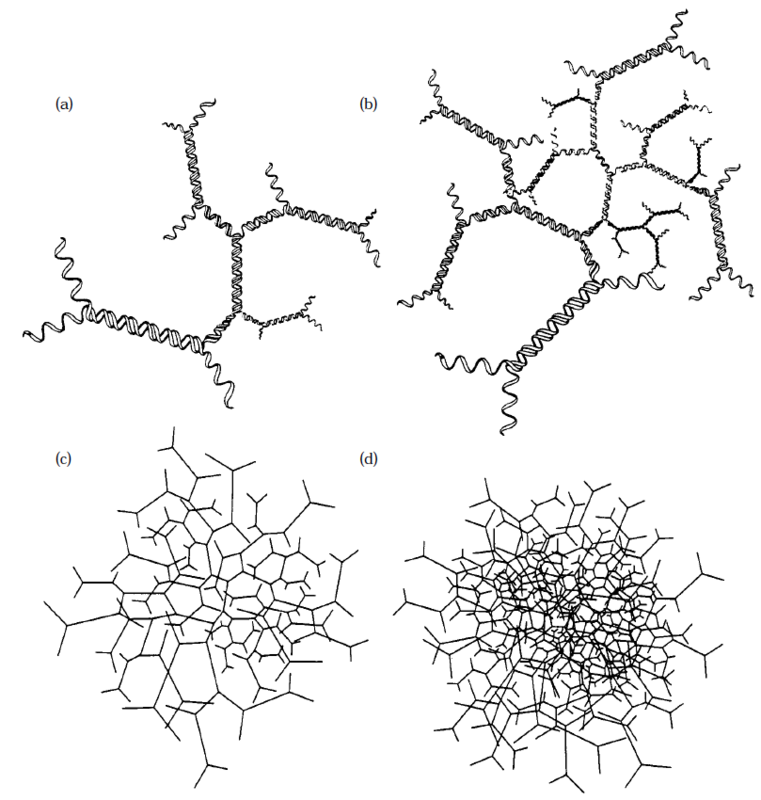 The dendritic structure gave the dendrimer excellent characteristics to occupy a large space/volume, and to be able to link to a large scale of antibodies and labels. Thus, a high ratio of the labels like HRP linked to the DNA particle can be reached. With the fine-tuning of the process, the number of the layers can also be controlled. This would allow the generation of an optimal size and molecular weight. Applied in lateral flow assay as an example, the increase of the sensitivity is usually 10-25 folds. Please feel free to contact us for more information related to our DNA dendrimer services.